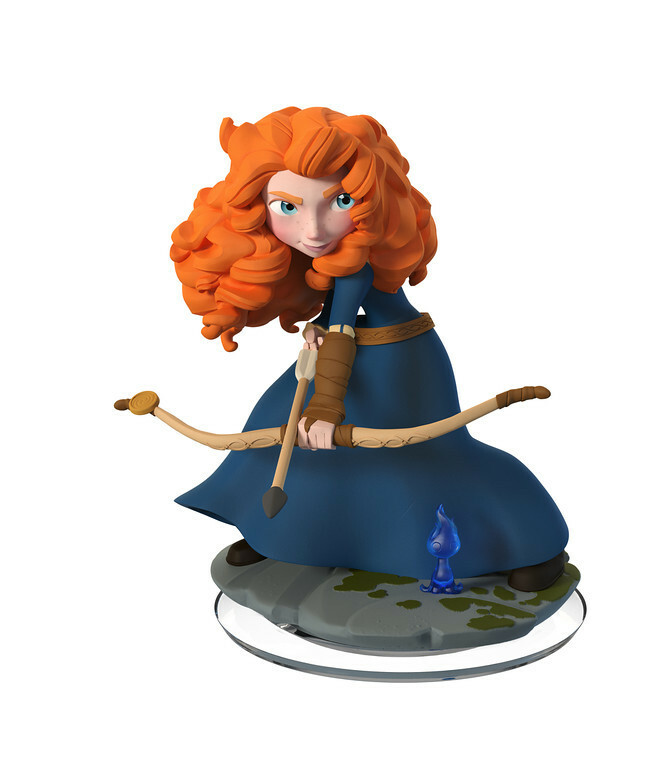 Earlier this week, the Disney Interactive team teased us with an image of Merida, stating “Bring on the Brave.” We already knew the character would be in the upcoming Disney Infinity 2.0, as she was spotted for a moment in last month’s trailer for the game, along with Maleficent and Stitch. On Wednesday evening, the developers held a sneak preview for D23 members in San Francisco of Merida and Maleficent joining the game – we have images that were shown and the brand new trailer after the break! Disney Infinity has proven to be an incredibly successful gaming venture for Disney Interactive, as it has quickly become one of the biggest games in the industry. Last year, after much speculation about whether Disney Infinity would be a game-changer for the company, the game has been just that – millions of starter packs have been sold and individual figures that allow players to play as the characters in the game have also become collector’s items. Last week, Disney Interactive and Avalanche Software, the talented group behind the game’s development, returned to Hollywood to unveil Disney Infinity 2.0 – check out our full report, including our photos from the event after the break! Exactly one year ago, Disney officially unveiled its ambitious new game, Disney Infinity, on stage at the El Capitan Theatre in Hollywood, California. Billed as a gaming platform, where distinct games could be played and the different characters from those games could then interact in a special infinitely customizable mode, it was a huge new venture for Disney Interactive. When those games are based on properties such as Monsters University, Pirates of the Caribbean, and The Incredibles, you know you are in for something special. After the break, take a look back at what we have seen from Disney Infinity in the year since its unveiling! 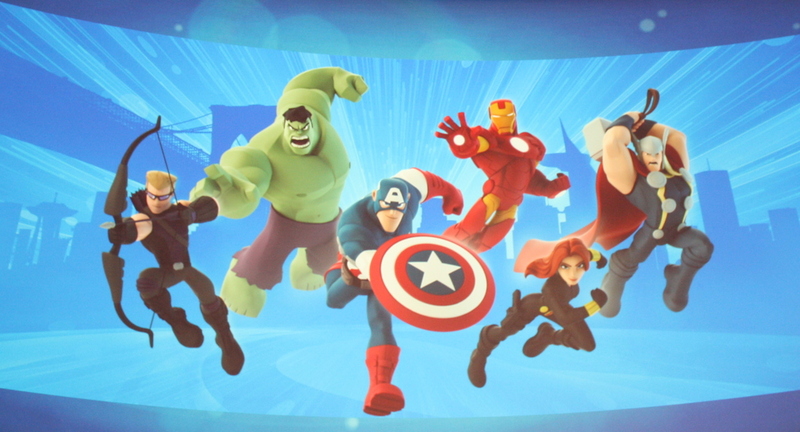 Disney Infinity has proven to be incredibly popular, with sets and figures often selling out at retailers. Recently, it was announced that the gaming platform had sold through over 1 million units, effectively branding the venture a great success for Disney Interactive and developer Avalanche Software. With the holidays rapidly approaching, and the hunt for gifts beginning, sales are just ramping up, especially as Disney has continued to pledge updates and new content. Each week, new Toy Boxes are uploaded for gamers to download (for free!) and explore, providing significantly more replay value than we have come to expect from games in this age. Today, several Toy Story-themed Toy Boxes have been unleashed, and you can take a look at them after the break! 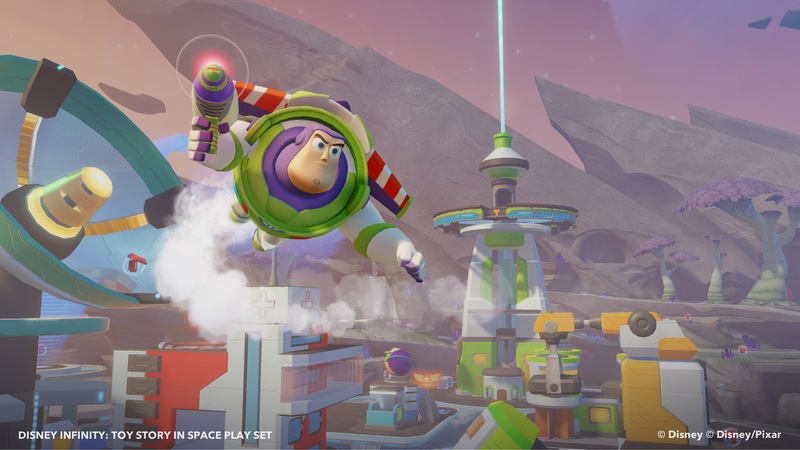 Toy Story is easily one of the most popular franchises at Disney, so it is only fitting that the series would receive its very own play set for Disney Infinity. Plans to release a play set for the huge property were announced at the D23 Expo in August. Now, we have more details and many more images featuring Woody, Buzz, Jessie, and the rest of the gang. After the break, take a look at a collection of new images from the play set, watch a video delving into the set, and find out when you can pick one up! 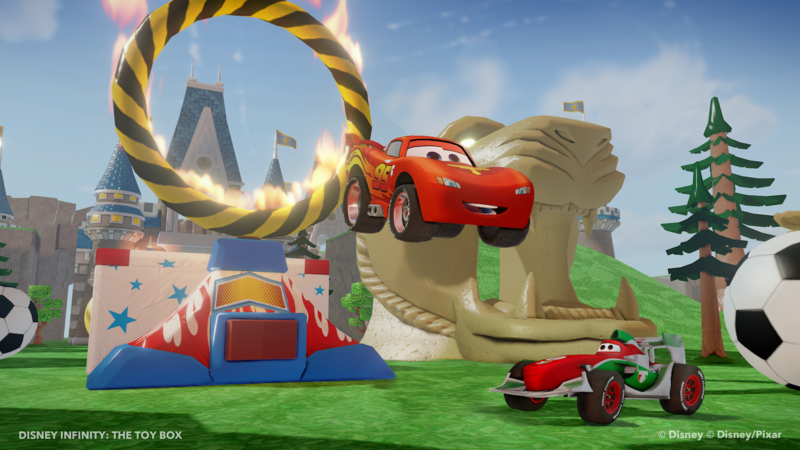 The magic word in Disney Infinity is customizability, as the platform allows players to build their own worlds using a variety of Disney and Pixar franchises as inspiration. The ability to build comes in its Toy Box Mode, where characters from different worlds, such as Dash from The Incredibles and Mike from Monsters University can interact. While there will be a large number of options included in the game at start, power discs that unlock additional options will be sold at retailers. After the break, find a full gallery of the power discs that make up the first wave, along with descriptions of the power each of them will unlock! Since the announcement of Disney Infinity, the new gaming platform that utilizes both Disney and Pixar franchises, much of the focus has been on the customizability of the initiative. 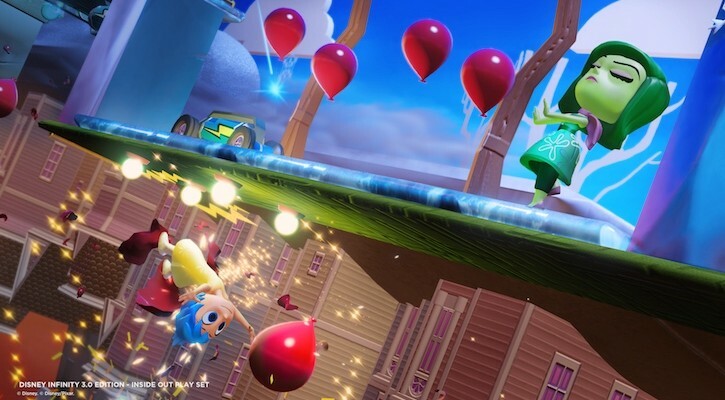 The Toy Box mode allows gamers to mix characters from the distinct Disney/Pixar worlds and build a world for them to play in. 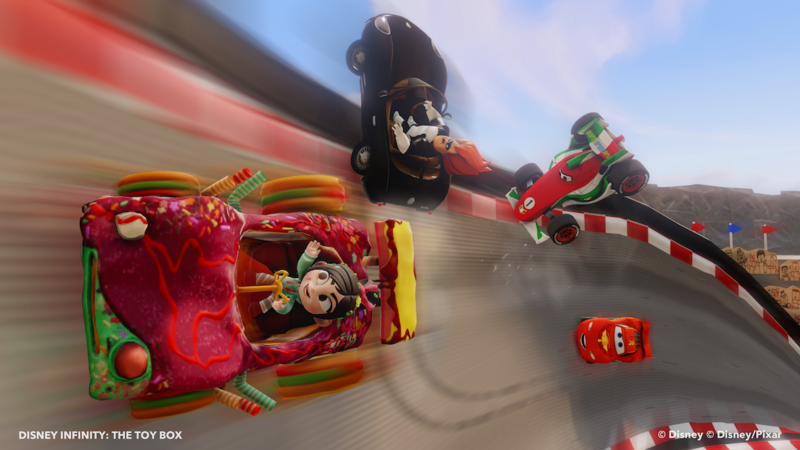 Today, Disney Interactive has given us another idea of how huge the scope of the level of customization will be – you can build your own tracks for the characters to race on. 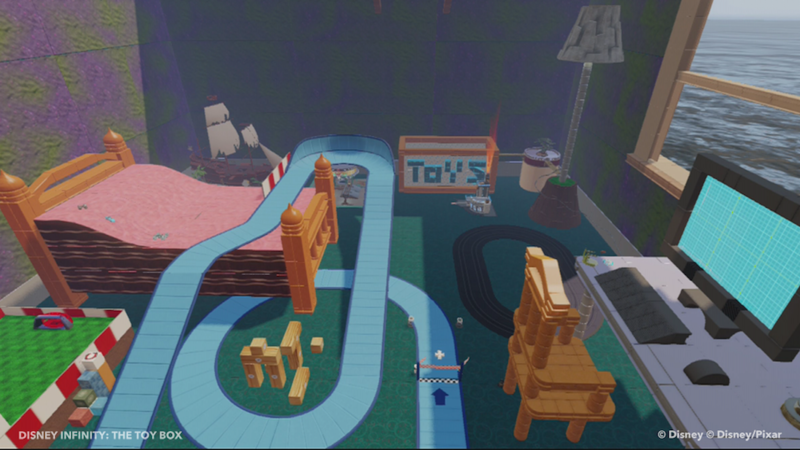 After the break, you can check out video, photos, and more details of the track builder in Disney Infinity!